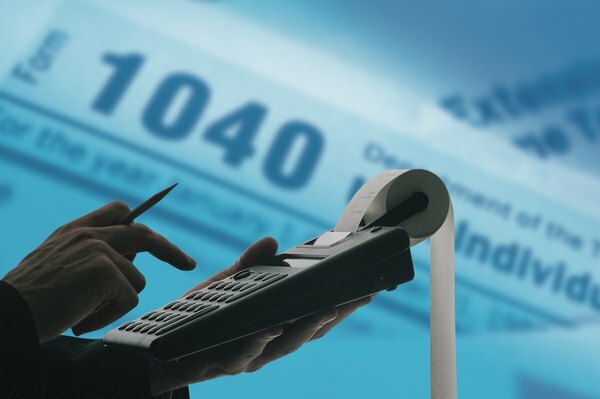 Your pension benefits may be subject to state and federal taxes. 1. What Are Fully Taxable Pensions & Annuities? 2. Do You Have to Pay Federal & State Tax on SS Retirement Benefits? If you're employed by the state of Maryland, you may be eligible to receive benefits from the State Retirement and Pension System once you retire. Benefits are generally paid out monthly. Retirees typically have to pay both state and federal taxes on the money, and Maryland state pension benefits are also subject to federal withholding similar to ordinary pay. The amount of tax you'll have to pay generally depends on the type of pension you have, your age and disability status. Federal tax law states that pension income may be fully or partially taxable, depending on how the plan is structured. Pension benefits are considered fully taxable at your ordinary income tax rate if you didn't contribute any money to the plan. If you kicked in money to your pension using after-tax dollars, your benefit payments are only partially taxable. The taxable part of your payment can be determined using the general rule or the simplified method. The general rule calculates your tax liability based on life expectancy while the simplified rule is based on your total investment and the number of payments you receive. Generally, your Maryland pension benefits are also considered Maryland taxable income at the state level. Maryland state pension benefits are also subject to state and federal withholding, unless you specifically opt out. You can submit your withholding preferences by completing Form 766 and submitting it to the Maryland State Retirement and Pension System. For your federal withholding, you'll need to specify the total number of allowances you want to claim, plus any additional dollar amount you want withheld. For Maryland state taxes, you'll need to specify a flat dollar amount that you want taken out. You can change your withholding at any time by filling out a new Form 766. State taxes only apply to your Maryland pension benefits, which means any Social Security or railroad retirement benefits you receive are tax-free. If you take money out of your pension before age 59 1/2, you may have to pay a 10 percent penalty on the withdrawal unless you're eligible for an exemption. For example, the penalty doesn't apply if you took money out of your plan due to a total and permanent disability. If you decide to move after you retire, then your benefits will be taxed according to the guidelines in your new state of residence. There is, however, an exception for some retired state employees. Specifically, the exclusion applies to individuals age 65 or older or individuals who are totally and permanently disabled. You must also have included pension or annuity income from an employee retirement plan on your federal tax return. The Maryland Pension Exclusion allows you to deduct up to $29,900 of your taxable pension benefits from your federal gross adjusted income. Married couples can double the exemption as long as you both qualify. If you're a retired police officer, or worked in fire, rescue or emergency services in Maryland or for the federal government, and you're between 55 and 65, you can be eligible for a separate Maryland pension exclusion of $15,000. Maryland State Retirement and Pension System: How Do I Retire? Are There New York State Income Taxes on State Retirement Benefits? What Is Exempt From New Jersey Income Taxes?